Offering a unique curation of places that stand out..
so that you can be a local, everywhere you go! Travelling to new cities nowadays often end up with a Google search about top places to visit; most of these places found are popular, some are quite touristic and others lack a certain taste of the local scene. Then there's the research for finding restaurants in these cities... the restaurants that claim to be within the top 10 of websites like TripAdvisor and Yelp that end up rather being a choice for popular tourists that charm the authenticity out of the local cuisine. And then you realise that its too late, the bill has been paid. We are currently covering Berlin, London, Prague, Amsterdam, San Francusco, Mumbai, Dubai, Madrid, Barcelona, Vienna, Istanbul, Shanghai and Copenhagen. 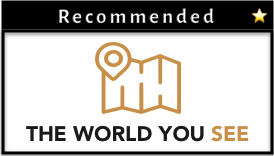 Also check out our super cool Travel Map Generator to share where you've been with all your friends!